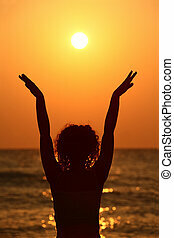 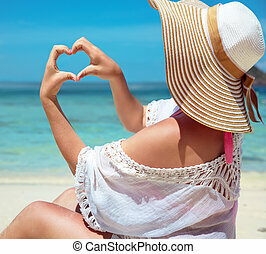 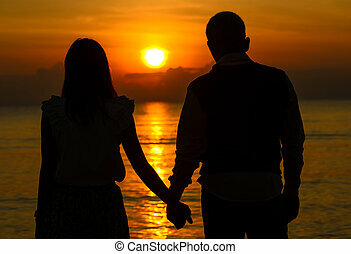 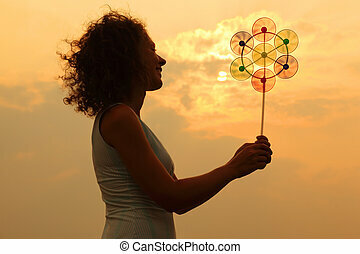 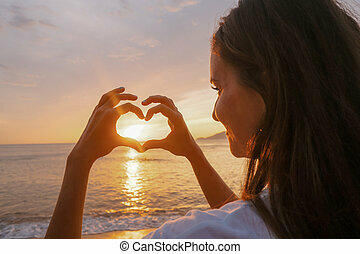 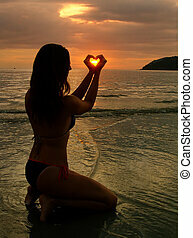 Young beautiful woman makes heart by her hands at sunset, sea. 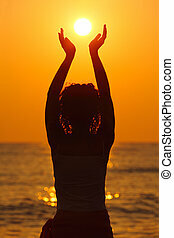 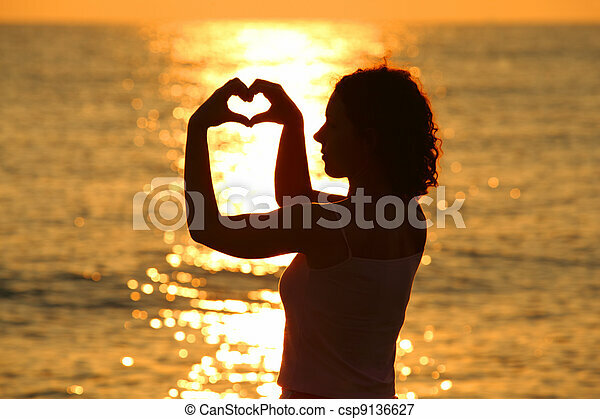 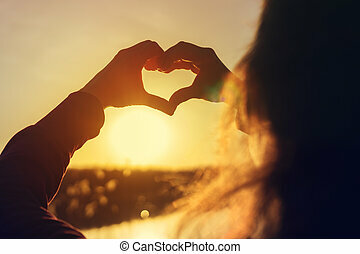 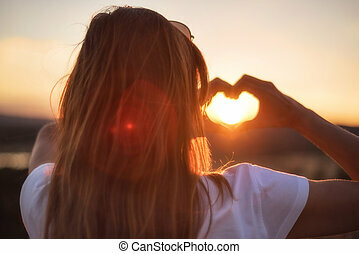 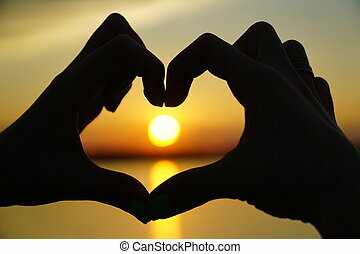 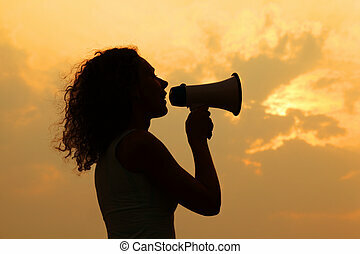 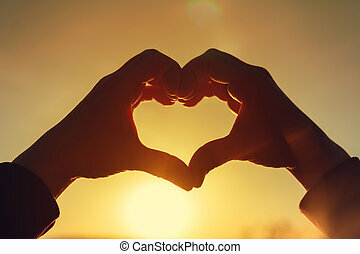 Young woman making heart with her hands at sunset time. 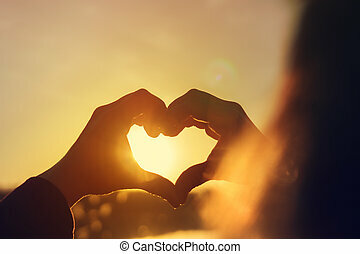 Love sign. 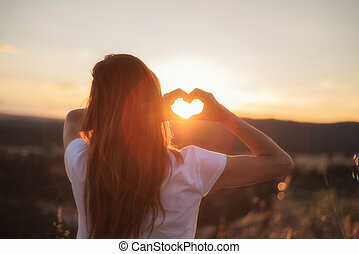 Woman making heart with her hands at sunset. 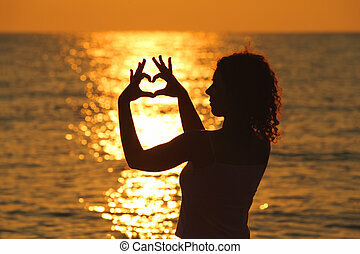 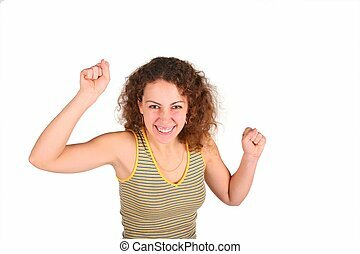 Young woman making heart shape with her hands.